The UK government has announced the biggest cuts since Thatcher’s Government. Guardian has exposed that the cuts will be even bigger that those from 30 years ago. Later on Royal Institute for Fiscal Studies calculates, that, contrary to government's claims that 'the cuts are fair', the cuts will affect the poorest the most. People will loose children and housing benefit. Schools will get less money for pupils. 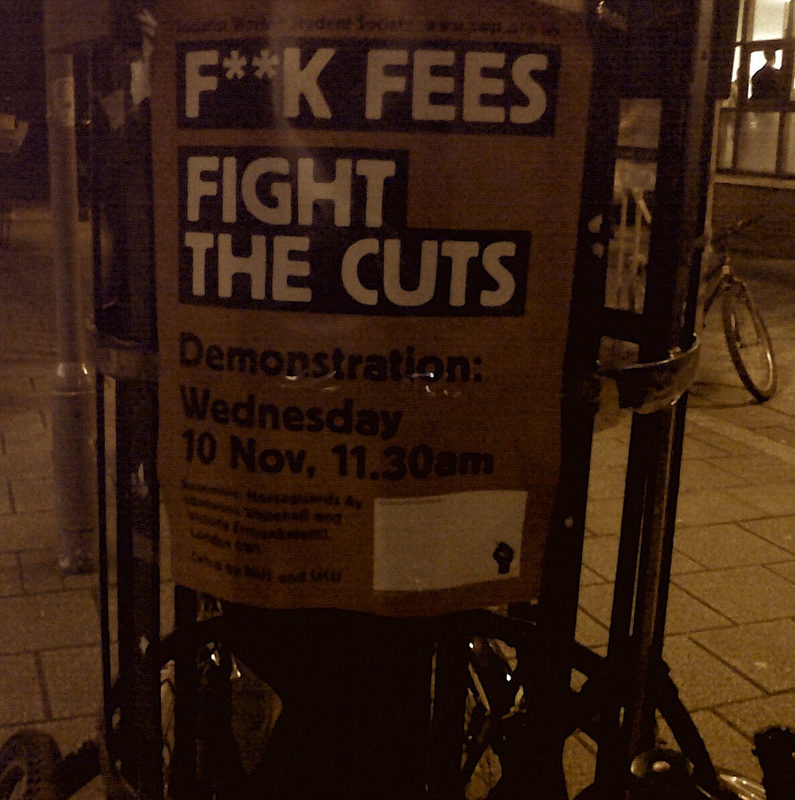 Students will have to pay even more for tuition fees. Government is freezing salaries in the public sector for the next 200 years and freezing large amount of stuff. The VAT will rise. Local councils are loosing amazing amounts of money. And what? What happens next? Nothing! No, people are not on the streets. Trade unions are not announcing strikes. There is no slightest sign of public anger. Brits are still in pubs drinking beer and dressing up for the craziest Halloween parties. France would be on fire! There would be a proper revolution. Those people here are just mad! Just not sure if good mad or bad mad. So if they are „good mad“ it is a sign of amazing responsibility. This would mean that British society has an amazing sense of common sense. This would mean they actually realize the simple fact (that no society realizes) that if you live on credit, you have to pay it back. This would also mean that especially British middle classes, people who have been working really hard for years (harder than les Francaises if I may say so) - are actually totally cool with paying and suffering for not their own sins! Amazing. Because this is what British people do. They are polite and responsible. They mind the gap and wait in a queue. But there is a chance that actually they are ‚bad mad‘ or ‚desperate mad‘. It might mean that they are so disillusioned that they just do not care any longer and ignore whatever the government do. They know that the only way in which they can save themselves is to mind their own business. They know that there is no pint in protesting - that the Tory government will not give up. And they do not believe in their ble ble ble about Big Society. If this is the case, it is rather sad. It would mean that people are loosing confidence that they could do something together. That they stop trusting that collective action makes sense. That they retreat back to their private lives. And celebrate Halloween like never before – a leap to a world of fantasy and illusion, just to get away from real for a second. 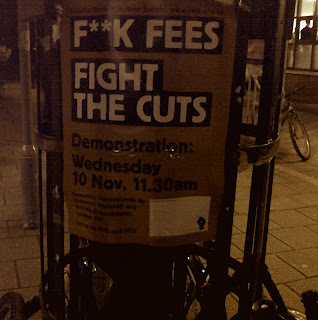 Therefore, where I found this poster at SOAS I felt relieved. Somebody still cares. Something still matters.